We Received a Grant December 18! The Greater Hidden Hills Community Development Corporation received a $1,300 grant from the Neighborhood Fund* to stage a Most Improved Business Award, given to the business in the overlay district that significantly improves its exterior aesthetics. Details on the contest will be announced in January. A business seminar will be held in February to provide information on driving sales by making the store exterior inviting and appealing. The awards ceremony will be in March. The grant includes $500 for community coaching. Our first meeting with the coach will be December 30, 3 p.m., at Mainstreet Community Center, 5001 Mainstreet Park, Stone Mountain. You are welcome to join us. *The Neighborhood Fund, an initiative of The Community Foundation for Greater Atlanta, empowers community members to positively impact neighborhoods at the local level. Building upon grassroots ideas and energy, Neighborhood Fund provides grants and support to community groups to build relationships, develop leadership, and change communities within the 23-county region. The Greater Hidden Hills Community Development Corporation (GHHCDC) election of board members is scheduled for Saturday, January 23, 2016 at 10: 30 a.m., Mainstreet Community Center located at 5001 Mainstreet Park Dr., Stone Mountain, GA 30088. The Corporation operates as a not-for-profit business for the purpose of marketing and developing the Greater Hidden Hills Community. The Bylaws require a total of five to nine board members to serve for a term of not less than two-years and not more than six years. The board is elected at a meeting of the membership. All interested members are invited to participate in the election. It is important that the organization maintain a functioning board in order to keep the 501(c)(3) classification, qualify for grants and continue to provide meaningful activities for the community. The members of the board designate the officers of the Corporation: President, Secretary-Treasurer, and General Managers. Each board member serves on one of the four standing committees: four Standing Committees Fundraising, Membership Development, Marketing and Communication, and Finance and Budget. ALL MEMBERS ARE REQUESTED TO PARTICIPATE IN THE SCHEDULED ELECTION. GHHCDC thanks you for your support and participation in 2015. We’re off to a strong start! Please review the attached slide show to learn more about our accomplishments in 2015. With your support, we will continue our great works. We are now approaching a prosperous 2016 and membership is due! Your dues are tax deductible because we are a 501(c)(3). Please fill out the attached form and send it in with your check. We look forward to your membership in 2016! You can get to the sites by clicking the links on the column on the right. Thanks to Karen Smiley-Speas for help setting up the new sites. Los Angeles has a great idea for turning streets into pedestrian-friendly environments, and I believe we can do the same thing with our strip malls. The strip malls are uninviting to consumers and businesses because they are tucked far behind large parking lots. We would love to create new development that brings the shops closer to the street, but in the meantime, let’s do something attractive and productive now. Let’s borrow LA’s parklet idea and apply it to the strip malls. Imagine how appealing it would be to have a seating area outside the shops! You could sit there and eat and visit with friends! LA has shared its manual, parklet kit, and technical drawings. You are going to be hearing more about this idea. Look below to see some of the neat concepts. On Saturday, a group of volunteers planted dozens of perennials in three planters at Biffle Park. We planted drawf gardenias, Coral Bells, Japanese surge, Coral Bell, Carpet bugleweed (ajuga), black-eyed Susan, variegated vinca, paperwhite narcissus, and crocus. The plants will bloom in different seasons and provide greenery all year long. We moved a butterfly bush to a better location. Lowe’s Home Improvement on Fairington Road donated $125 to the effort, a contribution made possible because of a grant request by the Greater Hidden Hills Community Development Corp., (GHHCDC), a 501(c)(3). We were able to buy the plants half-price, as a sale was going on when we shopped. Thank you Lowe’s Manager Michael Pitchford and Assistant Manager John Perkins for giving our community the plants. Sherrie Walker and Karen Smiley-Speas for helping select the plants, transport them, and plant them. Biffle Park is a wonderful amenity in our community. I’ve spent many hours walking my dog there, visiting with neighbors, and enjoying the happy sounds of kids on the playground. It was a pleasure to give back to this beautiful spot. businessman who wants to build a gas station with an alcohol retail component at 4736 Redan Road, one lot west of the Boston Market. This meeting will take place at Karma Bistro, 1179 S. Hairston (the shopping center behind Los Arcos). New gas stations are prohibited in the commercial tiers of the Greater Hidden Hills District because we have enough of them. If you are able, please join us at this hearing. The GHHCDC will be speaking out against the development. The gas stations at Covington and S. Hairston and Redan and S. Hairston have become micro flea markets, and such activity is prohibited in the commercial tiers of the overlay. We have joined other neighbors in asking DeKalb County Code Enforcement to crack down on this illegal activity. Interim CEO Lee May answered an email and stated that he would pursue swift action. 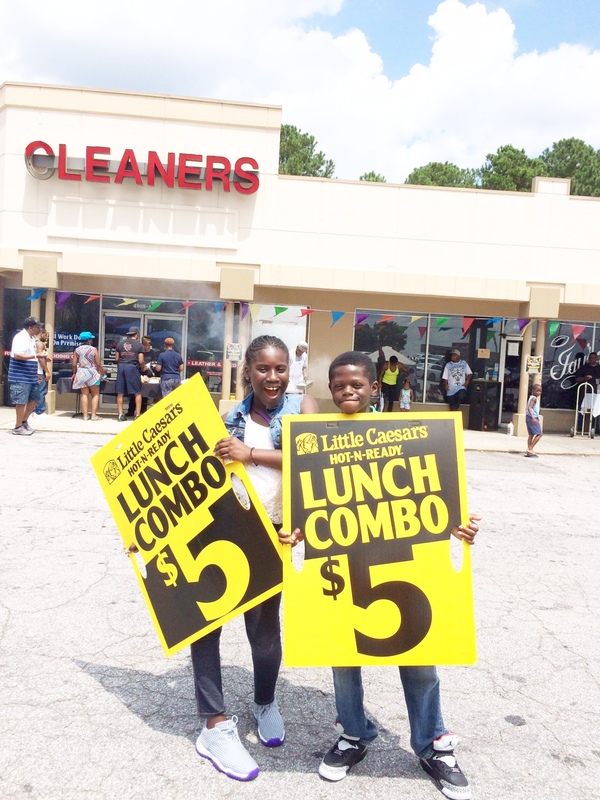 If you see vendors conducting business on the corners, please take a picture and send it to GHHCDC@gmail.com. Let us know where the picture was taken, the date, and time. If you think you have been affected by discriminatory practices, please contact Wayne Early, 404 643-5082, or wayne@early-economics.com . Our next meeting is Nov. 21, 10:30 a.m., at Mainstreet Community Center, 5001 Mainstreet Park, Stone Mountain. Please join us. The Hidden Hills Country Club once was rated one of the top 50 golf courses in the nation. The club and course closed in 2006. The 184-acre property is in the heart of the Greater Hidden Hills co mmunity. As part of our community development effort, we now have a video that tells the story of its rise and fall, and how it can rise again. 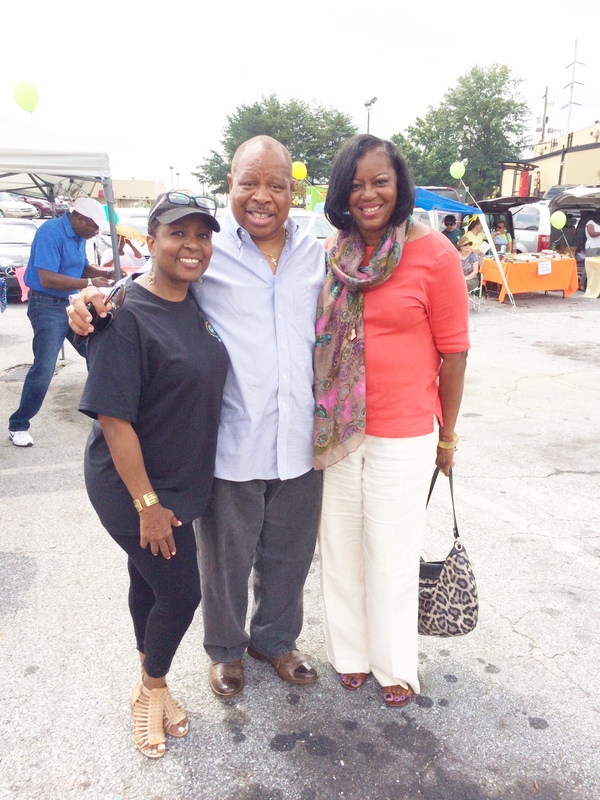 Redan Village rocked Aug. 22. 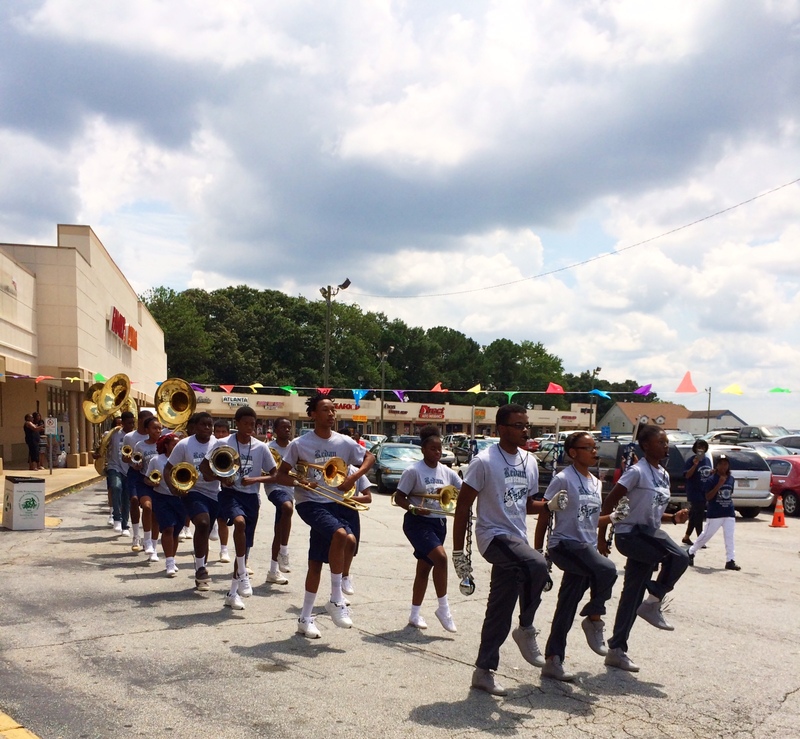 Redan High School Band showed tremendous community spirit as they marched and performed for the crowd. DeKalb County District 5 Commissioner Mereda Davis Johnson and Super District 7 Commissioner Stan Watson kicked off the event with warm greetings and commitment of support for economic development in the greater Hidden Hills area. To see a video of the day’s events, click https://youtu.be/vFuY5WJvILw . Four young men received free haircuts from Nick’s Barbershop, and the crowd voted that Justin “Peewee” Ford gave the best haircut (to Kentrell Walker). 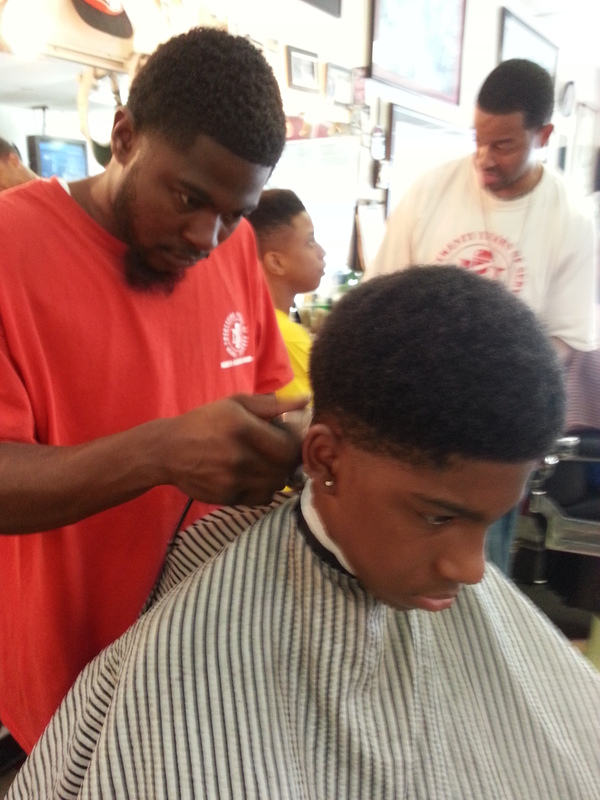 Owner Vance Harper opened this barbershop 27 years ago, making his one of the longest running businesses in the area. Little Caesar’s staged a Shaker Board competition and gave five pizzas each to the two prizewinners. And, the managers provided samples to the crowd. Zaxby’s gave away six bags, stuffed with school supplies and coupons. Kroger provided water, balloons, and gift certificates. Brusters provided a gift certificate. Jay Betts provided let the organization stage the event in front of Jay’s Place. Manager Rod Jackson cooked hamburgers and hotdogs and deejays Hype, Red, and “C” ke pt the music pumping. 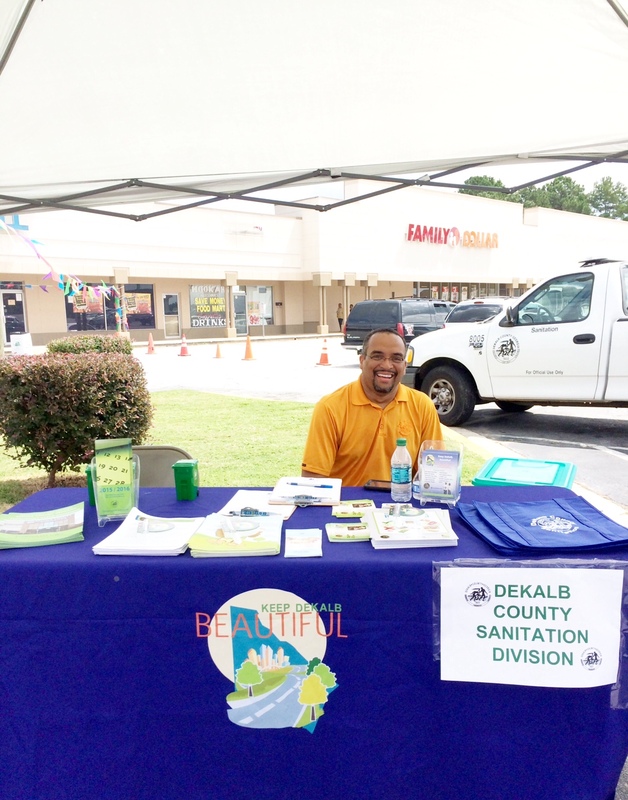 Keep DeKalb Beautiful Director Gordon Burkette brought information about the Roll Forward to One and recycling campaigns. MedPost Urgent Care, Taryn Lawrence State Farm, V-Shuttle Taxi Services, B-Street Sixty-One, and Corliss Sheffield United Credit Education Services answered questions and provided information. 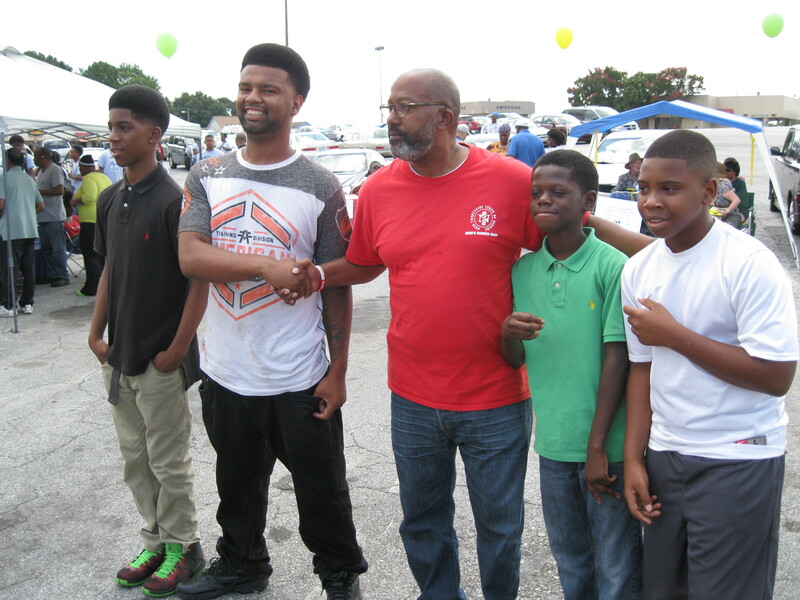 The Redan High School Booster Club and Friends of the Hairston-Crossing Library also participated. Nadine Rivers-Johnson did a terrific job orchestrating one contest after another. Numerous people helped staged the event, including Marion Long, Lois Dunlap, Pauline Dailey, Neia James, Charlene Taylor, and Fred Plummer. August 22, noon to 3 p.m. This community event will showcase creative students and local businesses. Join us! * Win prizes, just by coming out! We’ll be selling gently used books at the event and donate the proceeds to the Friends of the Library at Hairston Crossing. If you have books you no longer need or want, please bring them to our book sale table. We’ll be raffling off great prizes – tickets are free, but we encourage tax deductible donations to our community development corporation. Contributing sponsors include Jay’s Place, Zaxby’s, Kroger, and Bruster’s. All proceeds benefit The Greater Hidden Hills Community Development Corporation, a 501(c)(3) non-profit committed to helping the community prosper and thrive. This volunteer organization represents the area on zoning matters and advocates for attractive business development that meets our residents’ needs. The Tropical Sports Club will present to the community a concept for a neighborhood recreation center. This meeting will be at the proposed site, a single-family house at 1943 South Hairston Road. There is limited parking. Please carpool. Saturday, Aug. 15, 10 a.m. The next GHHCDC meeting, which will be devoted to ensuring the Aug. 22 Battle of the Bands’ success. Join us at the Mainstreet Community Center, 5001 Martin Road, 30088. All are welcome. We’ll be discussing the Aug. 22 Battle of the Bands event, the streetscape improvement plans, and grant applications. 11:15 – volunteers begin setting up. Event runs from noon to 3 p.m.
We’ll be raffling off great prizes – tickets are free but we encourage tax deductible donations to our community development corporation. Local businesses and entrepreneurs may reserve tables for $25: contact GHHCDC@gmail.com for information. Or, call 508-591-3526. Saturday, Sept. 26, 10 a.m. The next GHHCDC meeting. All are welcome. Join us at the Mainstreet Community Center, 5001 Martin Road, 30088.